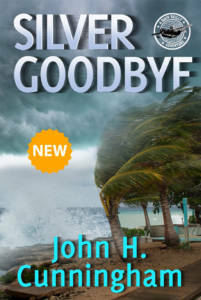 John H. Cunningham, Author of “Silver Goodbye” has written an amazingly face paced action adventure, filled with intense, captivating, intriguing and page turning information. The Genres for this novel are Adventure, Mystery, Suspense, and Fiction. The timeline for this story is around Hurricane Irma and takes place in Key West. This goes to the past when it pertains to the characters or events in the story. The quirky and colorful characters are complex and complicated. Buck Reilly is the dysfunctional hero in “Silver Goodbye” This is not the first book in the series but can be read as a stand alone. Buck Reilly reminds me a little of MacGyver with his fearless abandon, and adventurous streak. He is capable of flying a monstrosity of a boat-plane called “The Beast. ” Buck finds a blast from the past when he stumbles upon older pictures of his father. Is his father a hero, or a villain? Buck is forced to investigate at great danger. As more information unfolds, and lack of time as Hurricane Irma is destroying the Caribbean, Buck is in even more peril. Will he be able to survive and save the day?. There are betrayals, and deep dark secrets. 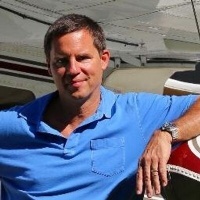 Tunnels and old architecture add to the vivid descriptions that John H. Cunningham reveals. I appreciate the research that the author seems to have done as far as storms and weather go. If you enjoy a chase, intrigue, and suspense. I highly recommend “Silver Goodbye” as a read for you. Read more on Linda’s Book Obsession.